Jurors in the trial of drug lord Joaquin “El Chapo” Guzman were showing signs of discord Monday afternoon as they wrapped their fifth day of deliberations without reaching a verdict. Some members of the jury cast irate glances at their fellow panelists as they sat in Brooklyn federal court and asked to review even more witness testimony from the months-long trial — and whether they actually need to reach a unanimous decision on specific allegations against the accused kingpin. “Does a violation have to be proven or not proven unanimously?” the jurors asked in a note to Judge Brian Cogan. 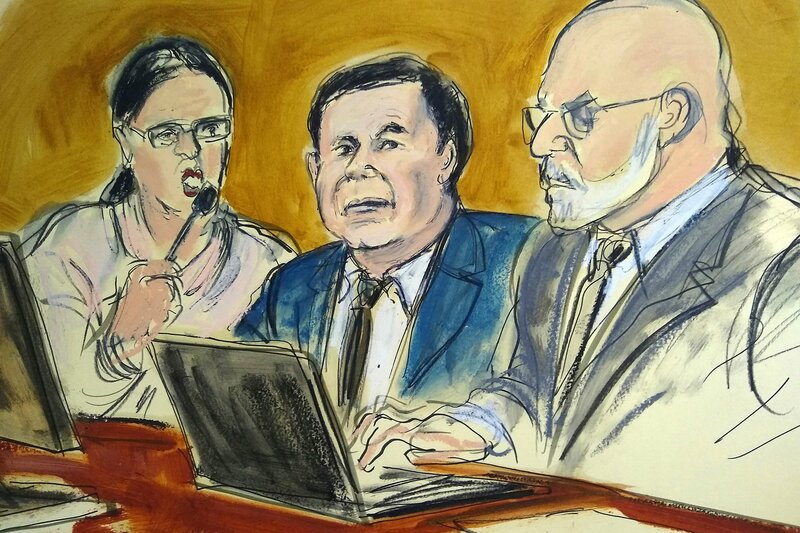 The top count against Chapo — running a continuing criminal enterprise — contains 27 separate violations, and the jurors have to unanimously agree on at least three to find him guilty. Why is the El Chapo jury taking so long? Cogan, however, didn’t explain this, simply telling them to refer back to their instructions. The jurors also asked to go over testimony from DEA agents Scott Schoonover and Clifton Harrison, who spoke about mammoth maritime cocaine seizures relating to four of the violations. Both testified about the 2007 seizure of nearly 20 tons of cocaine from a cargo ship called the Gatun — the largest ever drug bust at sea — while Schoonover also spoke about three other seizures, including 13,000 pounds of blow found packed into a submarine. The cocaine was linked to Chapo through the testimony of various other witnesses, including Colombian drug lord Juan Carlos Abadia Ramirez. The jurors’ request came after 31 hours of deliberations, during which they’ve already asked to read back through thousands of pages of testimony from government witnesses and peppered Cogan with technical questions. Meanwhile, Guzman — who faces life behind bars if convicted on the top charge — was in high spirits as another day came to a close with no verdict, laughing and shaking hands with members of his defense team. His ex-beauty queen wife, Emma Coronel Aispuro, also made an appearance in the courtroom, where she waved and winked to her hubby.